Women’s basketball takes center stage in March, as postseason tournaments that will lead to women’s basketball championships in Divisions I, II, and III in early April get underway. Over the next couple of months, I will be holding discussions about Finding A Way To Play in various locations. 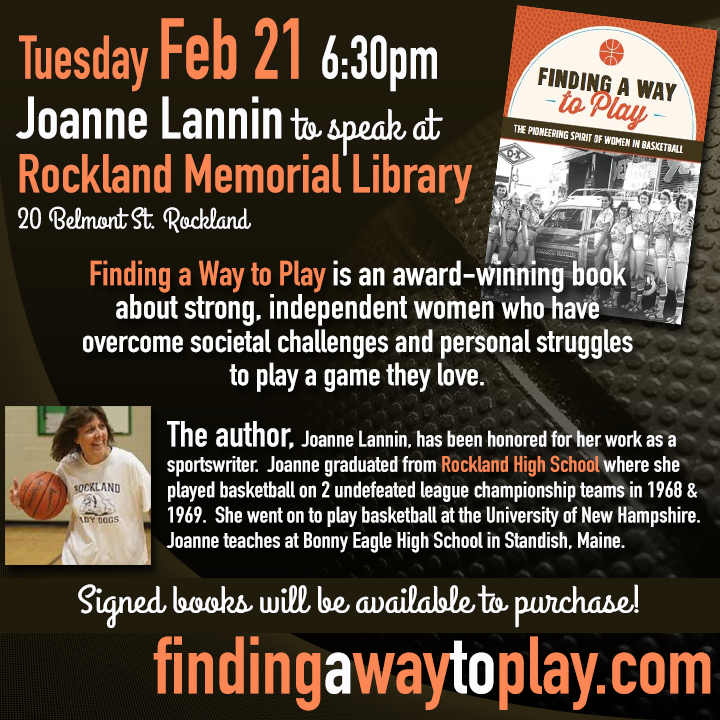 First up is a talk at my hometown library in Rockland, Mass. on Feb. 21. I’ll also be speaking at the Yarmouth public library and at a retirement community in Orono in early April. 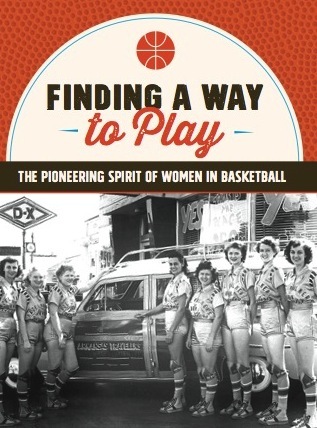 If you are part of a community group that would like to schedule an event coinciding with Women’s History Month or March Madness, you can contact me at jolannin@maine.rr.com. ← Another silver medal for Finding A Way to Play!